Six years ago on 21/10/09 I got a call from British Divers Marine Life Rescue’s (BDMLR) Cornwall co-ordinator and charity director Dave Jarvis telling me there was a pup in trouble in the sea at Gwithian. 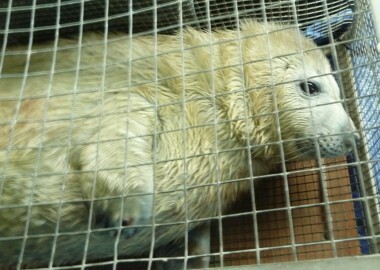 It seems such a long time ago and yet I remember it like yesterday as it was rather an eventful rescue! Two wonderful members of the public had reported a white coated pup struggling in the surf and being exhausted, it was continually bashing against rocks. Despite the distressing nature of the situation, the couple stayed watching over the pup for around two hours until we were dispatched and as soon as we arrived they were able to direct us straight to the pup’s location. Immediately I realised there was no time to be wasted! On the appearance of more people on scene it seemed the pup intended to head back out to sea where we would no longer be able to help it. So after a quick hesitation about getting wet (very wet) and a thought about how best to get into (and out of) the water safely, I headed into the sea with a seal rescue bag! It was lucky it was a gently shelving beach! Steps one and two were fine, but as the third step took me closer to the rocks, down I went into a dip and found myself waist high in water! Too late to care about the rucksack on my back containing my precious camera kit, I headed around the pup to be on its seaward side. I was quickly joined by Dave and Lesley, whilst Kate sensibly remained on the beach looking after everyone else’s bags and kit and being beach safety person! 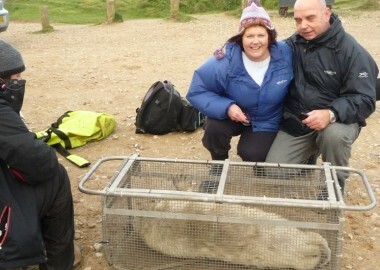 At this point I realised the seal pup was big – far too big for us to lift, especially waterlogged and in the sea! So the three of us managed to get the seal bag under the seal and swooped it rapidly upwards! 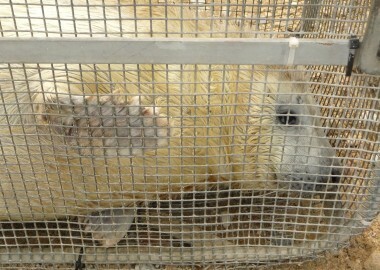 At this point I was hoping the seal bag had holes in it to allow the water to drain out – phew it did! So far so good, except the bitey end of the seal was now sticking out of the bag snapping in our direction, so we did a fast sidewards rocking motion back and forth and the head disappeared, only to be replaced by the rear flippers at the other end! The bag seemed a little small for this seal! Finally we managed to get the zip done up and got the pup and ourselves safely out of the sea! We needed a lot of help to get the pup across the beach and up the dunes back to the nearest car park, but our ‘reporting couple’ helped hugely! Back at the car I investigated the state of my rucksack and was somewhat amazed to find that the camera still worked, so I grabbed a few photos to record the event! The rest is history – Dave and Lesley took the pup to Gweek where she was called ‘Hufflepuff’ – an apt description for her behaviour where she has been ‘washing machined’ by the surf. Click here to see her rehab story at the Cornish Seal Sanctuary (CSS)! So why I am telling this story now? Well on 15/10/15, Alec and Enid bought round wonderful photos and video footage of a pup they had been monitoring with their fellow volunteer Terry round on the south coast of Cornwall. 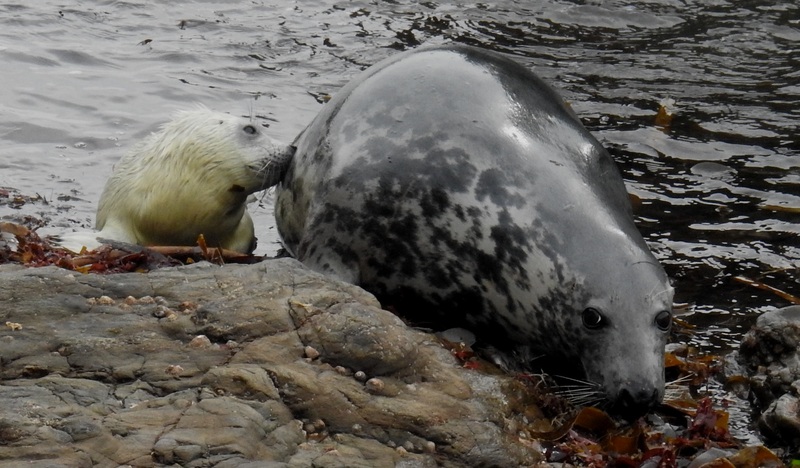 They had all made an interesting discovery – that the pup’s mum had a blue flipper tag! Bearing in mind this mum ‘Brush’ was well known to them, having been identified an incredible 65 times since she was first added to their identification catalogue on 16/05/14, this was the first time she had revealed her tag! Together we sat in my office identifying the year of the mum’s rescue – blue 2009/10 season – and then going through all the photos in the ID catalogue Kate and I had taken at the CSS back then. You can probably guess what is coming next!? I shrieked when I saw Hufflepuff! 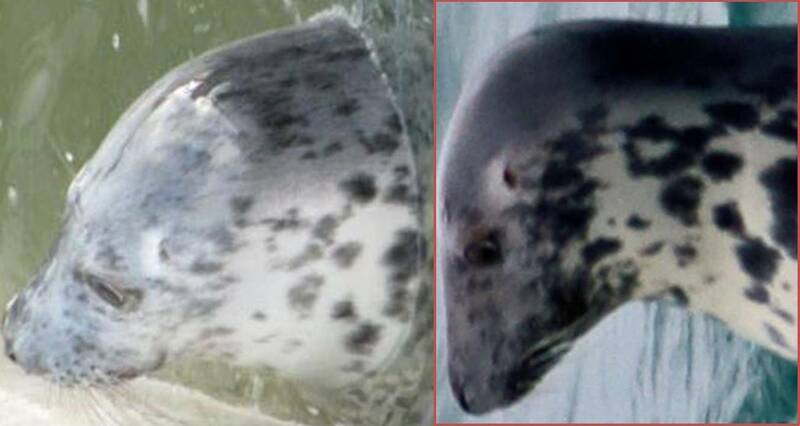 Then doubted myself, but as we rotated the ID photos of Hufflepuff and Brush we were left in no doubt at all that they were one and the same seal, despite her patterns being more faded as a pup. 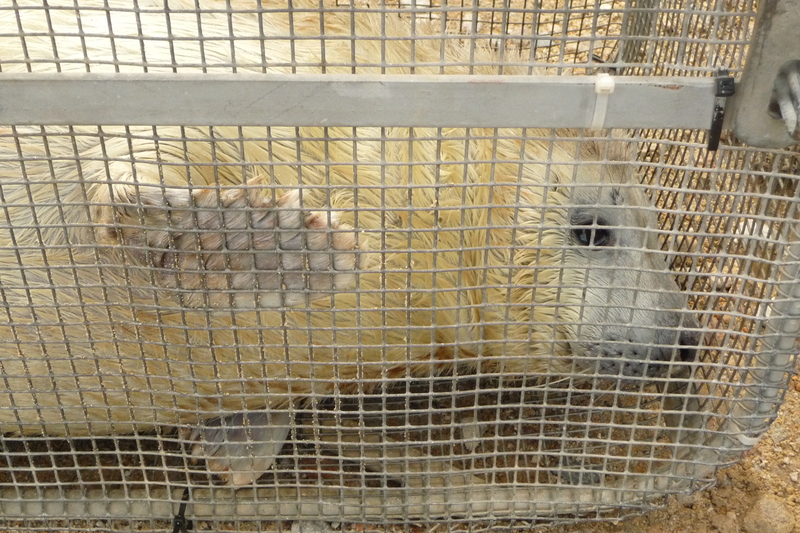 So what a success story and confirmation that all the BDMLR, CSS and CSG protocols work seamlessly to rescue, rehab, successfully release back into the wild and monitor post release seal pups around our shores. 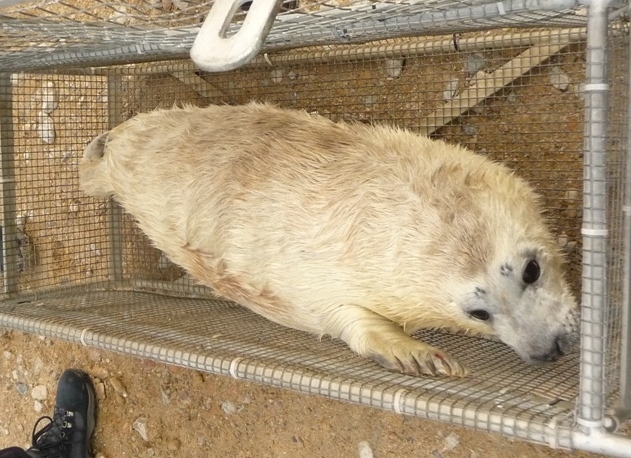 Hufflepuff aka Brush had not only survived her critical and high risk first two years in the wild, but she had thrived, done normal sealy things, got herself pregnant at around the right age, travelled around Lands End, found a good pupping site and was proving to be a brilliant mum! WOW! 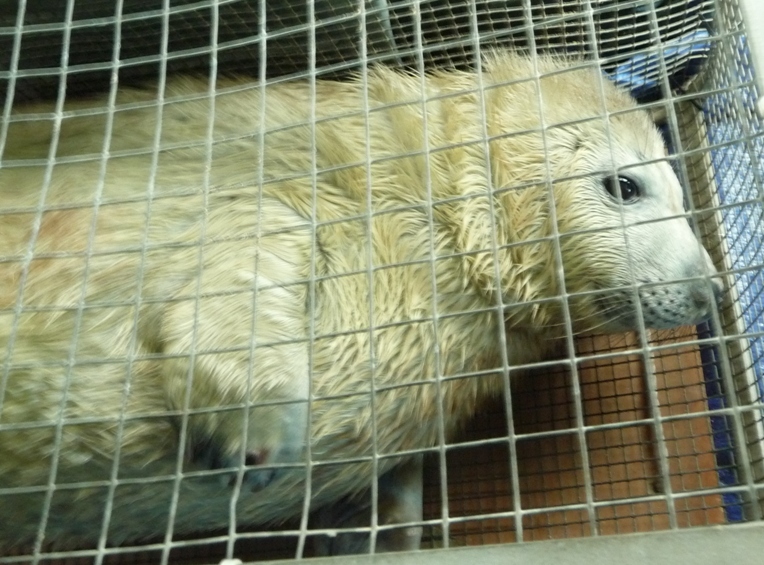 Brush has become one of our very exclusive band of adult females who are known to have been rescued and rehabbed – the others are S16 ‘Rabbit f’ (who is known to have had at least four pups of her own) and S223 ‘Puffa’ (who is known to have had at least two). 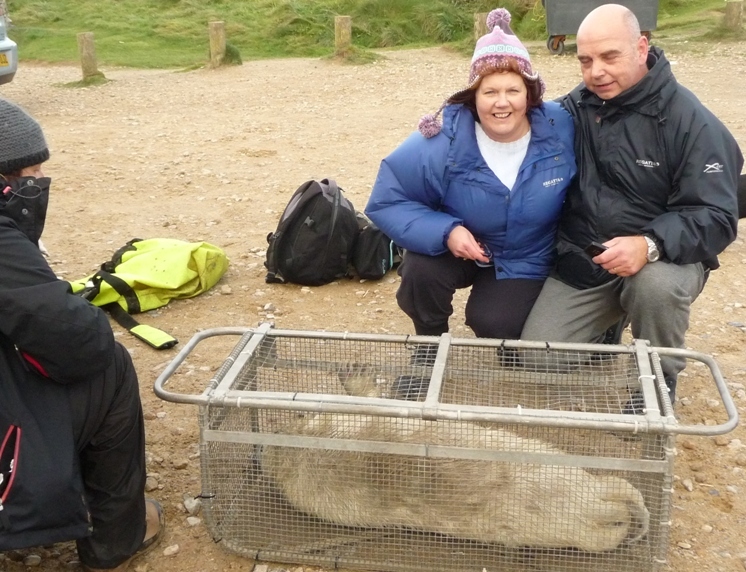 Huge thanks to everyone involved at BDMLR, CSS and CSG – not least the couple who reported the pup in trouble and whose identities have sadly been lost in the mists of time! Fantastic teamwork indeed! Photo of Brush on right of identification comparison by Terry Thirlaway. Photos of Brush with her pup Brushlet by Alec and Enid Farr.